While the Order of the Eastern Star is not part of Freemasonry, many Freemasons and their partners enjoy membership of the Order, and some Lodges are fortunate in benefiting from an association with an OES Chapter. The Order of the Eastern Star was first introduced into America in 1778 but it made very little progress until 1850 when a prominent Freemason, Dr Robert Morris, brought it into prominence and founded it upon a new basis. When he initially entered Freemasonry Dr Morris was concerned that his female relatives could not share in Masonic activities. With the assistance of his wife, Dr Morris compiled a ritual for a new order. The new order was based upon Biblical incidents and was intended to demonstrate high ideals and principles. It consisted of five degrees which at first were presented as lectures to a gathering of friends. In 1855 the ritual was revised, and with very few changes since then, that ritual is still used today. New Zealand Chapters come under the jurisdiction of the Supreme Grand Chapter of Scotland. New Zealand Chapters In New Zealand there are currently six chapters. Two in Auckland, and one each in Hamilton, Porirua, Wellington, and Invercargill. Chapter members travel all around NZ to visit other chapters and support special events in each chapter’s calendar, such as annual installation ceremonies and other special celebrations. In this way the bonds of friendship are created and strengthened. In 2002, we in Caledonia Chapter celebrated our 75th Anniversary. We had visitors not only from all corners of NZ but from Australia as well. We also have visits from The Supreme Grand Chapter of Scotland, who will be visiting us during July this year and will be travelling around New Zealand to visit all the other chapters. Many of our members will be travelling to those chapters at that time also. To associate in one common bond those admitted to membership and give them a means whereby they can make themselves known to each other. To become co-workers in the services of humanity. To give comfort in affliction, sympathy in sorrow, and aid in misfortune. Chapter members work to raise funds to support the chapter and to benefit its members as well as contributing to such charitable causes and organisations that the chapter elects to support.In recent times Caledonia Chapter has supported such worthwhile organisations as, Ronald McDonald House, Can Teen, Youth Suicide, The School for Teenage Parents, Women’s Refuge, The House of Grace and the Freemason’s Defibrillator Project coordinated by Westminster Lodge. Offices The order is primarily a female order, but we do have and indeed we do need, many brothers amongst our membership. The highest office in any chapter is that of Worthy Matron and she is assisted by the Worthy Patron which is the highest office a brother can attain. The remaining 16 offices are: Assoc. Matron, Assoc. Patron, Secretary, Treasurer, Conductress, Assoc. Conductress, Chaplain, Marshal, Organist, Adah, Ruth, Esther, Martha, Electa, Warder and Sentinel. Of the 18 office bearers, 10 must be sisters, two are brothers and the remaining six can be filled by either sisters or brothers.Each office is distinguished by a badge of office consisting of a jewel of gold or gilded metal, bearing an appropriate emblem relative to that office, suspended from a ribbon of the five colours of the Order.On completion of a year’s service our Worthy Matrons and Patrons are presented with their special jewels like I am wearing now as I have been Worthy Matron previously. Each year a new Worthy Matron and Worthy Patron and office bearers are elected and installed. This is a beautiful ceremony, frequently followed by a banquet and social evening. Degrees There are five degrees of the Order which are all conferred on the candidate at the initiation ceremony. These five degrees represent the five points of the star used as the emblem of our Order. Each point is represented by a colour, and a heroine is chosen to exemplify one of the extreme virtues. The lessons taught by the heroines are Fidelity, Constancy, Purity, Hope and Charity. ADAH, Jepthah’s daughter, teaches us Fidelity through proper respect of the binding force of a vow. Her colour is blue. RUTH illustrates Constancy through devotion and loyalty to a loved one, religious convictions and principles. Her colour is yellow. ESTER represents Purity by demonstrating the nobility of fidelity to loved ones and the tactfulness and wisdom of a truly virtuous wife. Her colour is white. MARTHA portrays Hope through the value of undeviating faith in the hour of trial and sorrow. Her colour is green. ELECTA represents charity and illustrates the principles of patience and submission under persecution, ill-treatment and even death for a noble cause. Her colour is red. My recollections of my own initiation some nine years ago is of a very moving welcome into a family and any nervousness was soon dispelled during the ceremony.At times other than when we have new brothers and sisters to welcome into our chapter we have all sorts of moving and inspirational services, and much benefit can be derived from their messages and teachings. Freemasonry is not identical with the Order of the Eastern Star, neither is the Eastern Star Freemasonry, and nor does it profess or wish to be. What has OES to offer? Naturally, what each individual gets from their membership to the order depends a good deal on what they are prepared to put into it! Some of the things that can come under this heading are: Friendship, support, being a “part” of a large organisation, being able to make contact and “join in” with another group of people in many locations all around the world when travelling if you choose to do so, working with others to achieve a common goal – sometimes large sometimes smaller, mixing with a diverse group of people, seeing others develop and grow, leadership and public speaking skills. The first reference to the Order of the Secret Monitor is known to have originated in Holland in or about 1778 but became popular in America as part of the Allied Masonic Degrees. In 1875 the Order was introduced to England from America by Dr. I Zacharie. At this time it consisted of only one degree. In 1887 a Grand Council was formed in England and a further two degrees were added. For many years both the Grand Council in England and the Allied Masonic Degrees conferred the degrees of the Secret Monitor. In 1931 Colonel Charles Warren Napier-Clavering became the head of both Orders and an Articles of Agreement was signed which transferred sole rights of the Order to The Grand Council of the Order of the Secret Monitor. The Order was introduced to New Zealand after officers of the New Zealand Expeditionary Force were inducted into Zacharie Conclave No. 9 in London in 1919. On their return to New Zealand these Brethren obtained a warrant to form Aotearoa Conclave No.44 under the English Constitution. This was to become Aotearoa No.1 under the New Zealand Constitution. The Order was administered from England until 1982 when the first New Zealand Grand Council, subsequently changed to Grand Conclave, was formed. At the time of the new Grand Council was formed, all but two Conclaves changed their allegiance to New Zealand. They were Remuera and Thames who still operate under their English Warrants. There are 30 Conclaves operating under the New Zealand Constitution with 800 members. Membership is open to those who have taken the Master Masons degree. The individual assemblies are called Conclaves and are ruled by a Supreme Ruler, who as in other Orders of Freemasonry is elected and installed annually. The First or “Secret Monitor” degree or ceremony of “induction”. The Second or “Princes” degree or ceremony of “admission”. The Third degree or Installation of the Supreme Ruler. This is the story of the friendship which existed between David and Jonathan, based upon the Book of Samuel in the VSL. During the ceremony the candidate is instructed in a certain course of action to be adopted when a Brother is about to do anything which might prove injurious to himself and it teaches a beautiful lesson in friendship and fidelity. The Admission ceremony is also derived from the Book of Samuel and tells how Saul sought the life of David. It further relates an interesting legend of the methods contrived to thwart the efforts of the jealous King. This deals with the ceremony of installation of the Supreme Ruler. One of the most important aspects of the order is the inclusion in the list of officers of “Visiting Deacons”. The Visiting Deacons are charged with a special function peculiar to this Order. They are required to keep in constant contact with their allocated brethren, and afford assistance and support (via the Conclave) to a Brother in time of sorrow and distress. They should also search out and warn him if he be exposed to danger, secret or apparent. In some Conclaves the Ladies are invited to attend all meetings where some form of entertainment is provided for them, and participate in refectory proceedings. Many Conclaves also record the names of their Widows on their notice papers who are then contacted by the Visiting Deacons as a constant check on their welfare. Thus the Order of the Secret Monitor can rightly be regarded as the Order of Friendship. Membership of the Order is limited to members of a Craft Lodge, who have also taken the Royal Arch degree, and profess the Christian faith. The Order is grouped in 4 Districts with 31 Preceptories and Priories comprising in turn around 600 members in New Zealand. The object of this Order is to perpetuate, or preserve a memorial of, the chivalry of the knights of the Crusades, and also to promote the aims of benevolence and charity in New Zealand. There are 2 principal degrees with one small intermediate portion. Not surprisingly the actual form of our ritual differs around the country reflecting either the Preceptory and Priories English or Scottish heritage. 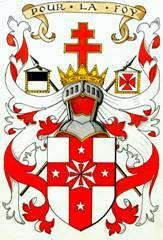 The actual degrees are the Knight Templar and the Knight of Malta including the Knight of St Paul or Mediterranean Pass. The messages of the degrees strongly reflect the Templar heritage of the Order with the first being based on the early days of the Order and the later around the period of its demise and the reception of many Knights by the Hospitallers. The uniform essentially follows that of the Knights of old with original differences in a limited extent between the original English or Scottish forms. Lounge suits are worn to all meetings. Knights wear a white tunic reaching to the knees over which is worn a calf length white mantle. A red passion cross extends for the full width and length of the front of the tunic and a black sash or cordon is worn from the right shoulder to left hip. A heavy leather belt knotted at the front is often worn from which a sword is attached being an integral part of the dress. A cap of red velvet is worn. Membership of the Order is limited to members of a Craft Lodge, who have also taken the Mark Master and Royal Arch degrees. The Order comprises five rituals which did not fit in with the mainstream degrees adopted by other Masonic Orders. It is governed from Mark Mason’s Hall, London, but is locally administered by the District Grand Council for New Zealand. There are six Councils in New Zealand, based in Auckland, Hamilton, Napier, Palmerston North, Christchurch, and Dunedin, and meet quarterly. St Lawrence the Martyr. Candidates are admitted as Brethren of the Order in this Degree which tells the story of St Lawrence, put to death by the Romans because of his love for the poor and infirm. Regalia consists of a bar of miniature jewels, (or a composite jewel). Knights of Constantinople. The Emperor Constantine is concerned at the arrogance of his knights, so takes steps to teach them humility. The messages in this short degree are relevant to all Freemasons, and all mankind. Grand Tyler of King Solomon. A diligent craftsman finds his life endangered due to the carelessness of King Solomon and his Council. We are taught to show mercy and never make hasty decisions. This Degree stresses the importance of the Tyler in any Lodge. Red Cross of Babylon. This is the English version and is only worked within the Allied Degrees. While different from the Royal Arch version, everything ends up the same. Grand High Priest. A great deal involves early parts of the Old Testament. Abraham and the ancient Kings come into the ceremony, as well as an early High Priest. The candidate receives something of great value during the ceremony, and will participate in a meaningful way in the fellowship of the Brethren present. Profession of the Trinitarian Christian faith. Brother of Heredom: An apron with a scarlet border, a scarlet cordon or baldric worn over the left shoulder, and the badge of the Order on the left breast of the jacket. Knight of the Rosy Cross. An apron with a green and scarlet border and, in addition to the scarlet baldric and breast badge, a green baldric worn over the right shoulder. Knights also wear a green and gold strap around the upper left arm with the words ‘Virtute et Silentio’ meaning power and silence. Officers’ titles in both degrees are the same or very similar, eg, Provincial Grand Guardian in the Chapter is Provincial Grand Warden in the Lodge. Officers’ collars are double sided, red for the Chapter and Green for the Lodge, and jewels are the same for both degrees. Joining If you meet the membership requirements and wish to be considered for membership of our Provincial Grand Lodge we would be delighted to receive a petition for membership from you. 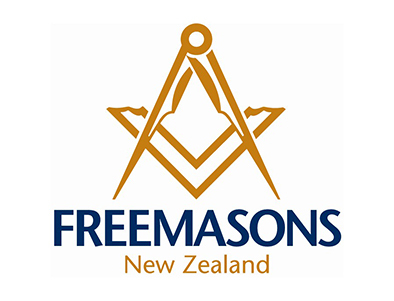 Just contact the Provincial Grand Secretary whose contact details are below: Provincial Grand Secretary\ RW Bro Jock McColl 24 Rosebank Avenue Avalon Lower Hutt 5011 email jsmccoll@orcon.net.nz Alternatively talk to any member of our Order. The Order of the Red Cross of Constantine as worked today was first documented in 1865, when its constitution was formally established by Robert Wentworth Little in England. 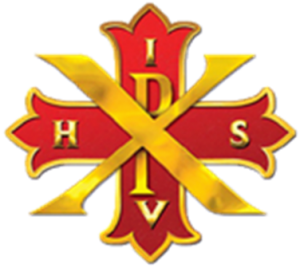 The Order worked in New Zealand under the English Grand Imperial Conclave until 11th August 2012 when the New Zealand Grand Imperial Conclave was formed. Christian tradition tells us that St. Helena, the mother of Constantine the Great, discovered the True Cross on which Christ was crucified along with two others. It was by Divine intervention that she was able to discern the True Cross from the others. This degree is always conferred along with the preceding one and together make up the internal appendant degrees of the Conclave system. The ritual deals with the tradition of a certain discovery made at the ruins of the first Temple and the subsequent formation of the Knights of St. John. The Society is a regular body of speculative Freemasons, and is restricted to Master Masons who are also Royal Arch Masons. The object of the Society is to perpetuate, or preserve a memorial of, the practices of operative Free Masons, existing prior to , or continuing independently of, speculative Freemasonry, according to certain repute. Certain elements in the practice of the “ Operatives”, as they are known, however, recall former practice. Persons intending to learn the craft of stonemasonry could do so in two principal ways. They could pick up the technique by assisting and watching a more experienced workman, a process known in the building trade as “Sitting next to Nellie”. Alternately they could be indentured, that is to say, enter into an apprenticeship deed, with mutual obligations of apprentice and master. The latter method is reflected in Operative practice and, on joining the Society the candidate becomes an Indentured Apprentice. There are seven degrees. The first four degrees are conferred in an Assemblage of lodges IVº to Iº, each degree beyond the first being conferred when the assemblage is appropriately opened as a Lodge of that degree. The Vº, VIº and VIIº are conferred in separate Lodges of those degrees.